We partner with you to craft compelling, professional, & highly aesthetic trade show display designs in Austin that engage your audience. If you’ve worked the floor at a trade show or industry convention, you know how critical a professionally designed booth is to your event’s success. MARION works with your team to make sure your booth exceeds best practices, and grabs the attention of the right people. The goal of our designs is to ensure people will take interest in your organization’s booth, evangelize your brand and offer, and remember your name when it’s time to engage a deal. Our team of veteran graphic designers and strategists work with you to establish an effective exhibit booth design that is on-brand. 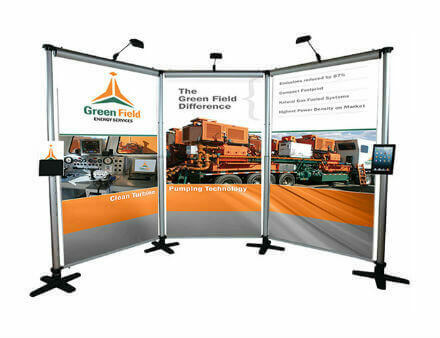 Make your custom trade show displays in Austin cut through the noisy showroom floor. Trade shows are known to be competitive marketplaces where attention comes at a premium. Capturing and maintaining the attention of attendees is critical to realizing ROI. 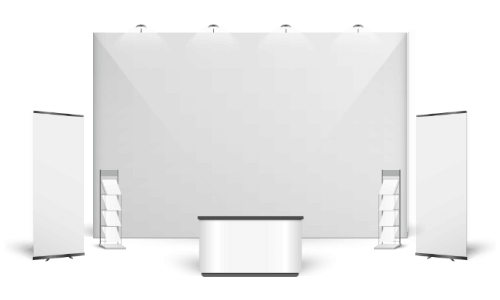 The most important step to actualizing this goal is a professionally designed convention booth. MARION has experience creating designs for several exhibit systems and frameworks. We work with you to find the right layout and framework that facilitates the best experience for brand interactions while maintaining utility. Brand your exhibit domain with custom trade show booth designs in Austin. Trade shows and industry conventions are competitions to nab the valuable attention of attendees. 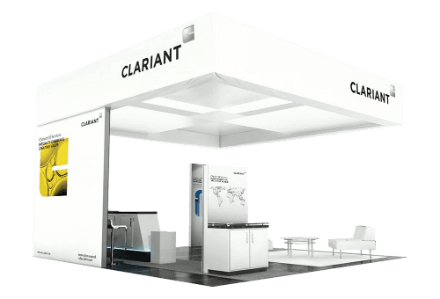 Reputable trade show booth design companies in Austin can help you acquire that attention, and turn it into revenue. Good displays transform you brand into an experience for attendees through memorable architecture, engaging graphics and even interactive trade show displays. Fill out the form below to contact MARION today, and let’s begin crafting a high-performance custom trade show booth in Austin!